The accomplished legal team at The Hameroff Law Firm, P.C. has years of experience in the negotiation and litigation of personal injury and wrongful death claims in southern Arizona. We know that aside from the large financial recoveries we obtain for our clients, the fact that the majority of our business comes through referrals from other clients is a real measure of our success. 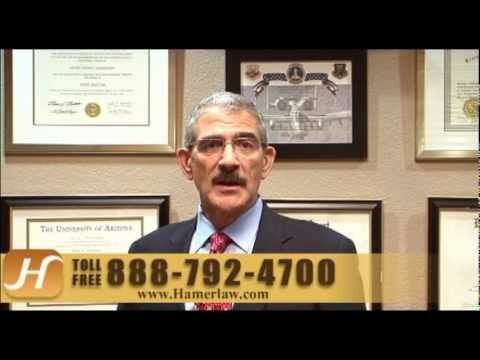 At The Hameroff Law Firm, our focus is on obtaining real recovery for you and your family. To view the professional profile for attorney David Hameroff, please follow the link below. When you contact our Tucson offices for a Free Consultations, you will speak to an experienced lawyer or a trained and experienced assistant. We take a hands-on, personal approach to each and every case, ensuring that our clients receive the highest level of individualized care and attention at every stage of the process. Your case is handled from beginning to end by a team of personal injury professionals. Call 520.792.4700 Today for a Free Consultation.